It is commonly accepted that Seminary graduates are well prepared for the pulpit. It is commonly accepted that Seminary graduates are knowledgeable about Doctrine and are good discussion participants on the subject. It is also commonly accepted that Seminary graduates should be able to teach Doctrine and facilitate spiritual growth in others. But are there any benefits from graduating from Seminary other than church (or vocation) related ones? In a word, yes. 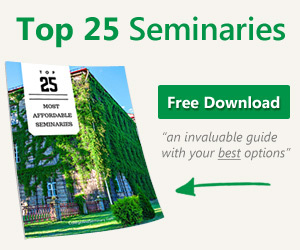 Apart from the benefit of good Doctrine and preaching ability, there are more lessons learned in Seminary that benefit a graduate than just the “vocational training.” This is not limited by any specific focus or narrow coursework – this is much more general in its manifestation, because the biggest benefit of a Seminary degree is not a boost in a career or the opportunity to earn more money from a bigger church body. The biggest benefit of Seminary is perspective and understanding – in a word, discernment. Discernment is closely associated with wisdom – you find them hand in hand throughout Proverbs. 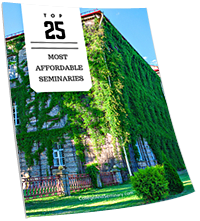 The benefit of discernment and understanding is revealed in the perspective that a Seminary graduate should have about God and Man – and their respective places. Man’s biggest problem is pride (aka Original Sin) and, being the crown of creation, it isn’t hard to understand that people have a tendency to think more of themselves that they ought. Dominion mandate lets Man be “in charge” of creation – within limits. And it is these limits that are explored in Seminary (under the guise of different courses and programs, but they all study the limitations of Man compared with the infinite character of God). When a graduate has a good grasp on Man’s limits and understands how to live freely within those limits, he can be at peace with God and himself. A Seminary graduate with a proper perspective can live out his understanding and function in all his jurisdictions better as a result. Not only will his understanding and insight help him to preach and teach more effectively, it will allow him to do so more compassionately. It is this compassion that will impact all arenas of his life. Compassion is the key to becoming a shepherd as opposed to a teacher; it is compassion that is revealed when we ‘rejoice with those who rejoice and weep with those who weep;’ it is compassion that sparked Jesus’ comment about the multitudes being like “sheep without a shepherd.” Compassion will pervade all areas of life – it will allow a man to remain calm in a stressful environment (especially when someone else is having a bad day). A Seminary graduate with a proper perspective will show his compassion at home, as well. It is here, in this intimate environment, away from the public view and behind closed doors that a man’s true character is revealed. The marriage relationship of a Seminary graduate should be the sweetest fellowship this side of Glory – where a husband embraces his role as that of Jesus to his wife’s role as the church. Mutual submission is vital; but the authority structure of all of creation is portrayed in the home. With compassion, the husband will sacrifice for his bride and, when the bride recognizes this, she will respond by loving her husband and serving him as the church serves the Lord. This is all a part of God’s grand design – Man acknowledges, loves and worships his Creator; the Creator takes care of every need of Man. The Creator receives the glory, praise and worship; Man receives care and rich blessing. Discernment enters with the knowledge and perspective that God does not need Man; Man needs God. This is not a symbiotic relationship where there is mutual benefit – God is complete, perfect and holy. God has no need of Man – which is what makes forgiveness and redemption so much more wonderful. God didn’t have to intervene in the history or Man; He could have let mankind flounder and die forever. This consideration should destroy pride. But God loves what He created and wants His creation to respond and live accordingly. This should guide our affection for God and lead us to an attitude of compassion for everyone (not just “His people”). There is an old saying “people don’t care how much you know until they know how much you care” – this is compassion. It must be sincere to be effective, but once perceived in others’ minds, relationships can deepen. This is true for leaders in business, religious and personal arenas. Your family will perceive your genuine compassion and respond accordingly. Your spouse will discern your sincere compassion and your relationship will strengthen. So as Seminary should lead to discernment of Truth; that discernment should lead to an attitude of compassion which will impact all areas of your life and make you a better husband!